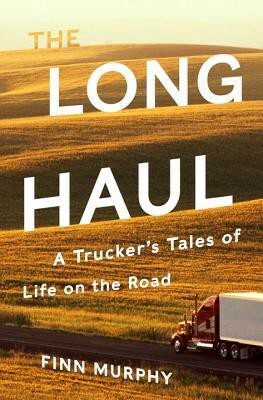 The Long Haul: A Trucker’s Tales of Life on the Road is written by Finn Murphy, a long-time trucker and first-time author. Finn Murphy tells his life story in his first book. The entire book is devoted to his experiences in the trucking industry as the driver of a tractor-trailer. He is part of an elite group of truckers who specialize in moving the contents of house and office. This book tackles behaviour, psychology, racism and Americana while also talking about trucks and their specifications. The Long Haul has three sections. These sections cover Finn Murphy’s initial life as a trucker, his mid-life crisis and his subsequent return to trucking after twenty years. The Last Haul, is at its core, a window into human life and behaviour. Finn Murphy says that movers tend to know their customers better in 30 minutes than their closest friends have in their entire life. The futility of materialism is another observation Finn Murphy has about humanity. Almost everything that a person can be dumped without any effect on their life. This ranges from their TVs to their kids’ scrapbook albums to their closest possessions. This book is funny where it matters and tragic where needed. It is insightful while not being preachy. In addition, it is extremely easy to read. Obviously, there is a ton of stuff on driving and trucks but this is not overbearing. I have only minor complaints with this book. I would also have liked to know more about why Finn Murphy came back to trucking. This episode is handled without any details while his quitting the trucking industry is explained fully. Closure would have been good too. Is Finn Murphy happy now? What is the impact of regulations on his owner-driver status? The Long Haul is one of those rare books that gave me a good feeling after reading it. I was always wanting to know what would happen next. Finn Murphy’s writing is excellent and I look forward to his next book. I recommend The Long Haul for someone looking for a light read with a philosophical twist. Also, read if you like semis and trucks.